A New Year, four new majors, and some new faces in the To Win A Major in 2019 betting, alongside, of course, golf's giants. But who is the best bet at the odds? And how will it play out from The Masters to The Open? Here's a look through what's coming up in golf this year. No-one can argue with the quality of the stages which will host golf's four major championships in 2019, each one of which will provide unique backdrops and audiences. 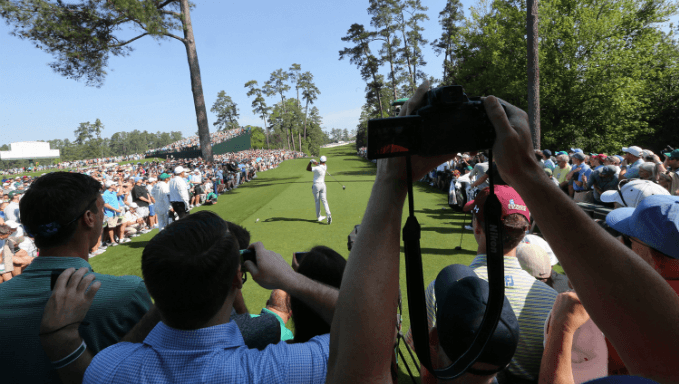 As always Augusta National provides Act One, an introduction that boasts unequalled set design and patrons, whose decorum and deportment is tightly patrolled by the house. Act Two, the PGA Championship, will be a rollocking contrast because Bethpage Black is a tough gig and the players can expect ruthlessly heckling from raucous New Yorkers in the cheap seats. Act Three crosses America, from Broadway to Hollywood, from Atlantic to Pacific, from Long Island to Pebble Beach. Will this be the moment when course specialist Tiger Woods entirely regains the centre stage? The final act heads to Northern Ireland and Royal Portrush. There will be no previews to compare with Rory McIlroy’s return home, and he seems certain to be granted a week-long ovation. Should he, or another Irishman, be in Sunday contention, the Open will witness a finale like none in its history. It’s a thrilling prospect, all of it packed into a tight 15-week run, but who will win a major in 2019? He hits the ball miles, and in recent years has significantly improved his wedge game, but Dustin Johnson, 2/1 favourite in the To Win A Major betting, has now teed it up in 38 majors and won just one of them. Rory McIlroy (5/2 William Hill), for all the hope, has now gone four complete seasons without a major triumph. Justin Thomas (7/2 888 Sport)? One major to his name (the 2017 PGA Championship), but just one sub-70 lap in 12 attempts at the Masters and, whilst he has a good record in round one at the Open, he averages 76.20 shots per round thereafter. Has Tiger got one more major in him? Is Jordan Spieth (100/30 William Hill) set to rediscover his misplaced magical touch? There are some golf betting sites that make all five of these golfers a shorter price than Brooks Koepka (3/1 Paddy Power) to win a major in 2019, which rather backs up the argument (often made by himself) that he gains less credit than his results deserve. The 28-year-old, remember, has three major championships wins to his name, which all came in a rush – in his last six starts - and, he gave plenty of hints that this explosion of success was imminent. Not, maybe, in victories on the PGA Tour, but definitely in terms of performing with credit in the four tournaments which matter: in eight of 10 major starts prior to his first win he ended the week in the top 25 (three times in the top five). Has he peaked? Or are his odds in the To Win One or More Major in 2019 betting – bigger than the five mentioned above – best value? Koepka might start wishing that he kept his observations to himself, because flying under the media radar is something of a pre-major blessing. The advantage of entering the big weeks with few distracting questions might, however, pass to Xander Schauffele, whose capacity to thrive on the big occasion is notable. His unflappable nature has been revealed by completing a first top five finish in just the second start of his PGA Tour rookie campaign, by adding a top five on his major debut (at the 2017 US Open), by winning soon after, and by then adding the Tour Championship to complete that same rookie campaign. There was then no sophomore slump. He finished runner-up on his debut at The Players, added sixth at his second US Open, was second in the Open, seventh when defending the Tour Championship and then won a first World Golf Championship at the HSBC Champions in Shanghai. Cool, calm and apparently calculating on the course, he’s 16/1 with William Hill to win his first major in 2019. Next up is Spain’s Jon Rahm, who ended 2018 winning the Hero World Challenge by four strokes and then said: “I’ve seen Tiger’s final round at Pebble Beach in 2000 about 150 times.” We can take it that he’ll be excited about the US Open heading there in June, then. He finished fifth on the course in 2017 and is a winner on the Californian coast at Torrey Pines so that adds fuel to the fire. He’ll also be keen to return to Northern Ireland, scene of his Irish Open win last year. “I love the town of Portstewart and have great memories,” he said of the location a few miles down the road from Portrush. What about Augusta National? He was tied sixth, three swings back of the lead, at halfway on debut in 2017 and tied fourth after 54 and 72 holes last year. There’s promise in those efforts and he’d love to become the fourth Spanish winner of the green jacket. He’s 5/1 with Paddy Power to win one or more majors in 2019.